Continuing our series of vintage pecan recipes, here are three pecan candies to make from Mary M.‏ Wright’s 1915 book Candy-Making at Home. Mix the sugar, syrup, milk, butter, and chocolate. Bring to a boil, stirring the mixture constantly. Cook until the mixture forms a hard ball in water. Add estate-grown pecans, mix, and pour into buttered pans. When cold cut into squares. Blanch mammoth pecans. Heat fondant in a double boiler and add lemon juice. Stir until melted. 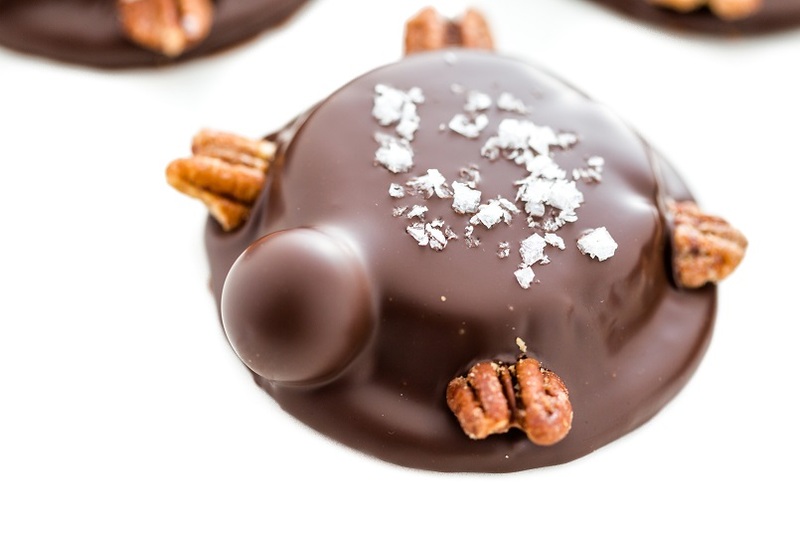 Take 1 cup of whole pecan nut meats and dip into fondant. Set aside on oiled paper until cool. Once cooled, melt chocolate and dip nuts into it. Set aside again to cool. Note: the fondant may be divided, if preferred, and flavored with different flavors and prepared with different colors. Cherry flavored fondant is excellent with almonds. Vanilla goes well with most nuts, and many like peppermint flavor with nuts. Maple flavored fondant is always excellent with nuts. Take equal quantities of chopped pecans, walnuts, and almonds. These should be chopped fine. Take an equal amount of fondant and melt in a double boiler and stir in the nut meats; flavor with vanilla if the fondant has not already been flavored. When the fondant mixture begins to harden mold into bonbon shape, and place on paraffine paper or a sheet of clean tin. When entirely cool coat with chocolate. If you need a high-quality pecan distributor, Stahmanns can help. Call us at 844-739-6887 or contact us online to learn more about our fancy large pecan pieces and mammoth pecan halves.